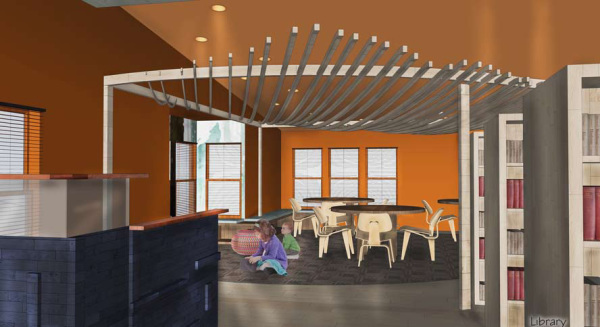 The Robert C. Parker school, an alternative school located in upstate NY sought design solutions for updating the interior to reflect the school's culture and aspirations. 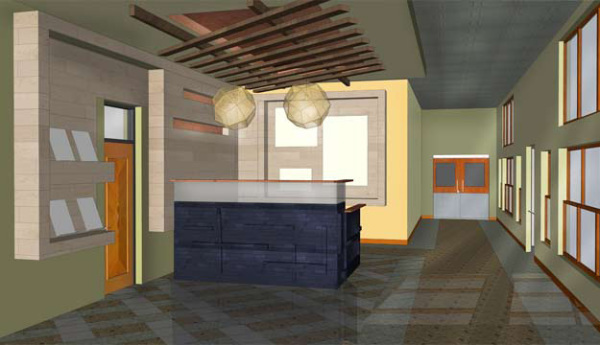 With specific requests for renovation concepts for the school's library & gym, as well as a new structure to be located next to their science pond to provide shelter while conducting experiments. 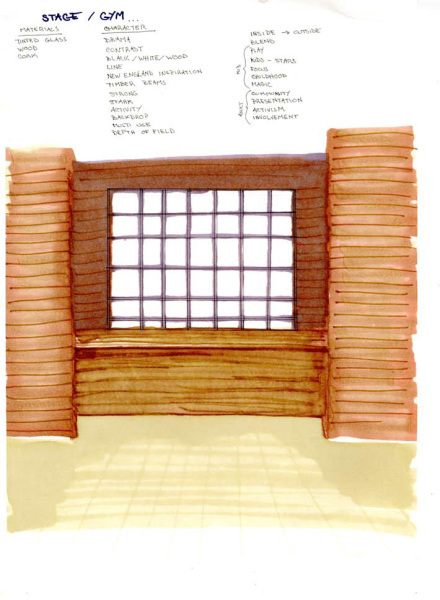 The pergola in the library brings a sense of nature indoors, delineating a special space for studying. The natural finishes and rhythmic lifework are helpful for kids trying to focus, especially special needs children such as those who live with autism. Kids are given bouncy-ball seating, which has been shown to help with staying focused, and is better for ergonomic health. 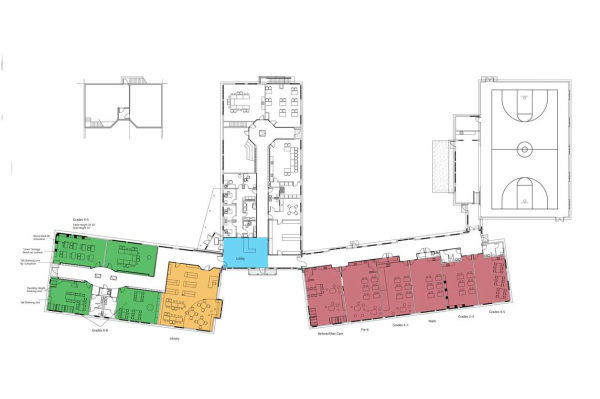 The floor plan is blocked out and color coded by grade and room-use. 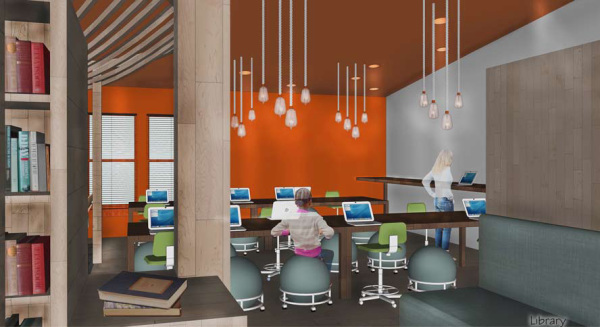 Each room is space planned to fit the particular programme needs of that space. 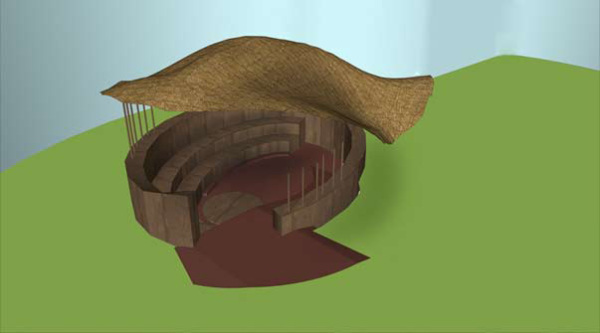 This sketch shows the stage area, including a flood of natural daylight coming in from the courtyard beyond. 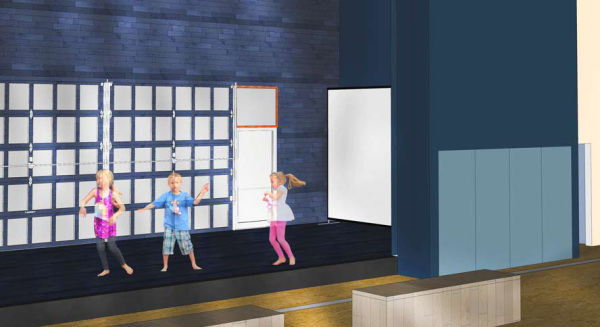 The stage area is designed for play and incorporates the outdoor courtyard with window walls that can be opened, blurring the boundaries between inside and out. 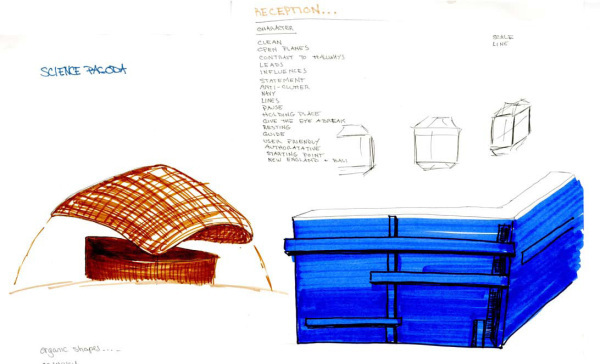 Sketches start to depict organic shapes and finishes for the reception desks and outdoor science pavilion. Students at The Parker School spend a lot of time outside, and this pavilion gives them an enclosed space to hear lectures and to inspect the environment around them. 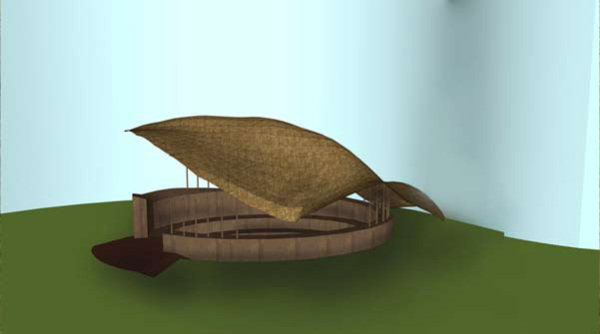 The pavilion sits near the lake on the school's property and spirals into the ground in the fashion of The Golden Ratio. Seating is tiered up from the center where experiments and lectures can be conducted. The exterior of the structure blends organically with the grade surrounding it.